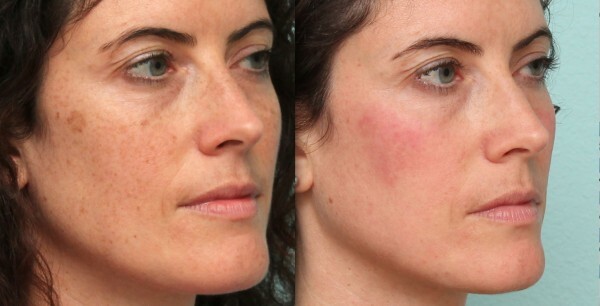 The Sciton is a state-of-the-art laser providing incredible results for treatment of dark spots, rosacea, sun damage, and wrinkles.The Sciton is the only available laser which allows for treatment of all of these skin conditions with one laser. Facial laser resurfacing helps to “refinish” the skin’s top layers through a method of controlled superficial skin layer removal. The treatments soften the sharp edges of surface irregularities, giving the skin a smoother appearance. As the skin heals after the treatment, the collagen contracts, tightening skin and smoothing out wrinkles and irregularities. Facial laser resurfacing is most often used to improve the look of facial skin left scarred by acne or accidents or to smooth out fine facial wrinkles, such as those vertical lines around the mouth. It’s also sometimes used to remove the pre-cancerous growths called actinic keratoses. Important factors to consider are your skin type, coloring, and medical history. Laser resurfacing can be performed on small areas of skin or on the entire face. It can be used alone, or in conjunction with other procedures such as facelift, blepharoplasty or scar removal. The amount of time for healing is dependent upon the patient’s skin and on the depth of treatment with the laser. Some laser treatments simply brighten the skin without any down time, while deeper treatments require more healing time, depending on the depth: anywhere from 2 to 14 days. Laser removal of the top layer of the skin. Softens sharp edges of surface irregularities, including acne and other scars and fine wrinkles, especially around the mouth and eyes. Temporary tingling, burning, itching, swelling, redness. Temporary sensitivity to sun. Need for special skin care during healing. Abnormal color changes, such as PIH, or post inflammatory hyperpigmentation (brown splotches – this can be treated with skin care products, and is rarely permanent). Tiny whiteheads (temporary); infection; scarring; flare-up of skin allergies, fever blisters, cold sores. Pigment changes (light or dark, though this is rare with the more modern lasers). Depends upon depth of treatment. For a deep laser resurfacing for maximal results, 2 weeks. More strenuous activities: 4 to 6 weeks. About 3 months. Return of pigmentation/sun exposure: 6 to 12 months. Permanent, although new wrinkles may form as skin ages. "Patients who maintain a regular regimen of BBL treatments annually can reduce and delay the long term signs of skin aging in a way that looks very natural."